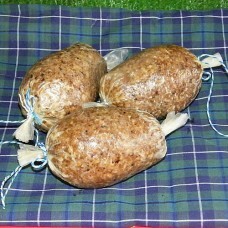 While the reputation of our produce was well known locally it was in 1976 that we gained national recognition for becoming Scotland's first ever Champion Haggis Makers. 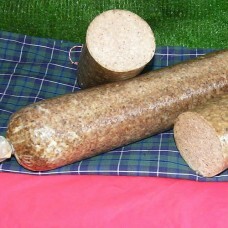 The same prizewinning recipe as the rest of our haggis range but in a sliceable roll. 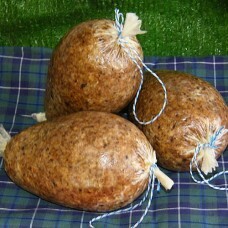 Convenient sl..
Our "Chieftain Haggis" is made in a natural skin for that extra special occasion. 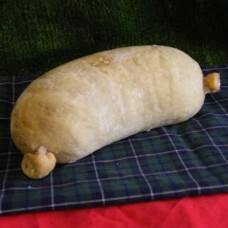 Serves 8-10. ..